Nine Men’s Morris is an ancient game, popular in Ancient Rome and the medieval period. No one really knows where and when the game originated. The oldest building that has a Nine Men’s Morris board carved into its stones is an Egyptian temple at Kurna, Egypt, which dates to roughly 1400 BCE. 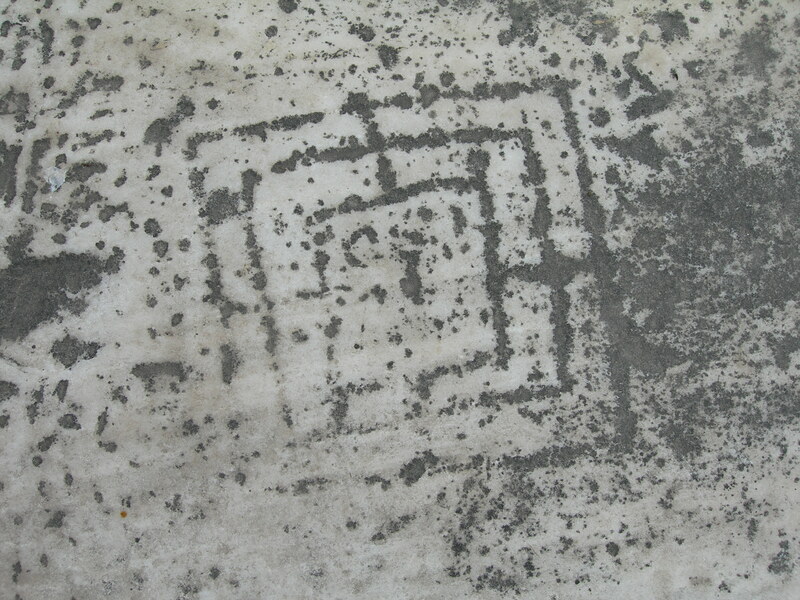 However, it is not known when the game board itself was carved into the Kurna temple’s roofing slabs; was it at the time of the construction or much later in history. There are many Nine Men’s Morris carved into various buildings’ stones through out the Roman Empire and in the seats of many medieval cathedrals. 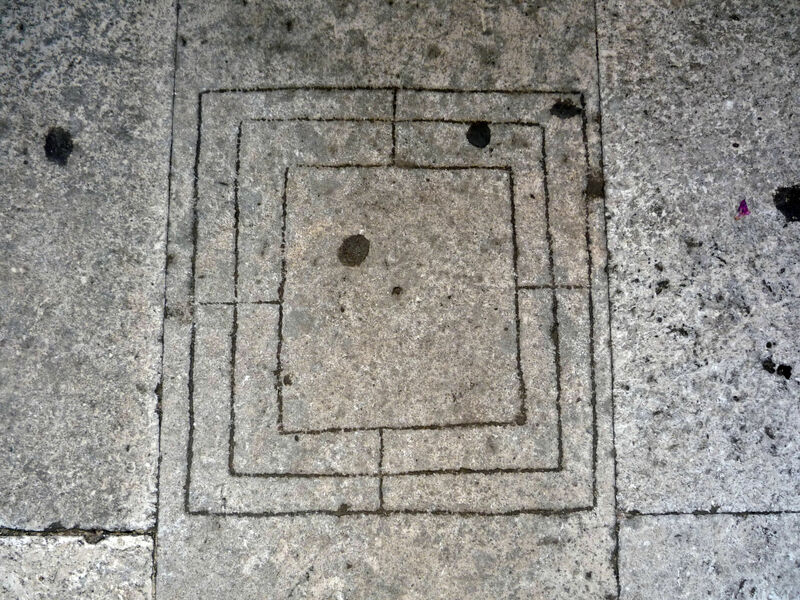 Nine Men’s Morris, carved on the floor of the platform between the Bell Tower and the Dome of Diocletian’s Mausoleum in Split, Croatia. Photo: Helen Goodchild, June 29, 2009. This game is known by many names, such as Mill or Windmill, most probably, because the shape of the board looks like a windmill, and Merrels, from the Latin word merellus, which means “gaming piece”. The name Nine Men’s Morris seems to have been originated by Shakespeare in his play, A Midsummer Night’s Dream (Act II, Scene I), in which Titania refers to such a board by saying, “The nine men’s morris is filled up with mud”. 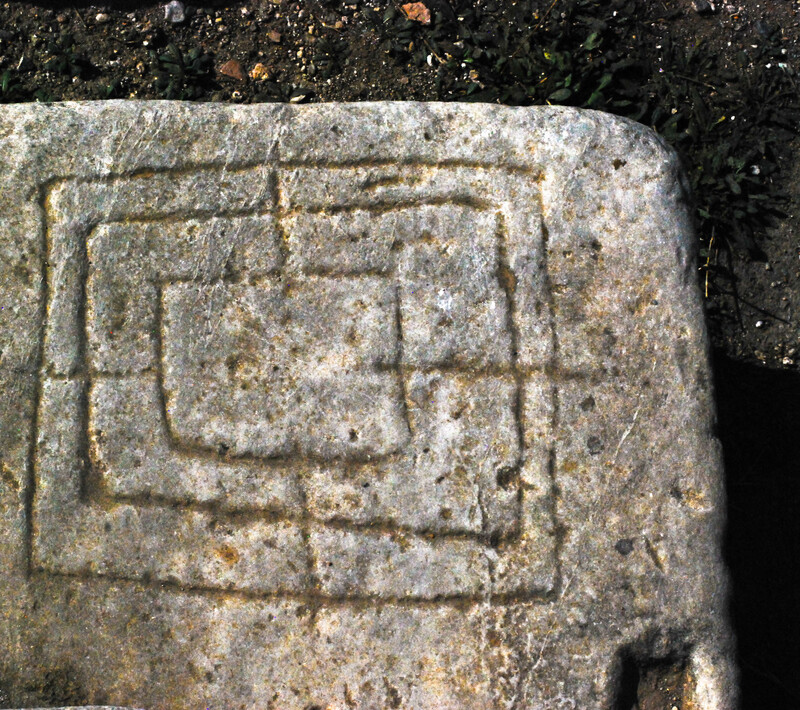 Nine Men’s Morris carved into stone in the ruins of Byzantine church, St. John’s Basilica, Selçuk, Turkey. Photo: Tolka Rover, October 22, 2009. The rules of the game are well known, mostly because the game has been played continuously in Europe since the Roman period. Nine Men’s Morris on the south wall window ledge of the Church of St. John the Baptist in Northorpe Lincolnshire, England. Photo taken: June 8, 2017. There are 2 players in the game. The board consists of a grid of 3 squares one inside the other, with lines connecting the 24 intersections on which pieces can be placed. Each player has 9 pieces, called “men” of a given color. Each player tries to form a “mill”, which is 3 of their pieces in one row connected by the line. To form a mill, the pieces can be placed either horizontally or vertically, but not at at a 90 degree angle, and they must be connected by lines. The game begins when all pieces are off the board. Players decide who goes first either by agreement or by lot, such as toss of a coin. The players take turns placing one piece at a time onto the board, onto the empty dots. During this phase each player tries to prevent the opponent from forming a mill. However, if a mill was formed anyway, then the player who formed a mill gets to remove one of the opponent’s pieces, of their choice, from the board. The piece removed has to be not in a mill itself. If all of the opponent’s pieces form a mill, then none of the opponent’s pieces can be removed. Players can form more than one mill in a single move by strategically placing their pieces. If they form more than one mill, then they get to remove as many of the opponent’s pieces, as the number of mills that they formed. The act of removing an opponent’s piece after forming a mill is called, “pounding”. Once all of the pieces have been placed onto the board, the players begin moving their pieces, in alternating moves, one dot at a time to try to form mills in the same fashion as in the first phase. In the second phase pieces can only move to an adjacent dot, and pieces cannot jump over each other or skip dots if more than one are available in a row. A player is allowed to move a piece out of a mill and then moving it back on the next move to form the mill again. If this happens it is considered as if they formed a new mill and they get to remove one of the opponent’s pieces. When one of the players has been reduced down to 3 last pieces, phase 2 ends and phase 3 begins. In phase 3, the limitation of moving only to an adjacent dot is removed, and both players can move their pieces to any available dot, even if that requires skipping dots or jumping over other pieces. Such movement is called “flying”. Phase 3 is optional and is considered a variation of the game to give an advantage to the losing opponent once they only have one piece left. If the players agree not to play phase 3 then they continue playing phase 2 until the end of the game. The game ends when one of the players is reduced to two pieces, and cannot any longer form mills, or if a player has no legal moves to make, making their opponent the winner in either situation. Nine Men’s Morris is a game of pure strategy without any luck component, since there is no dice of any kind. In the first phase it is more important to place pieces in strategic locations than trying to immediately form mills. It is better to disperse one’s pieces across the board than concentrating them in one location. An ideal position is when a player can shuttle a single piece between two mills, thus removing an opponent’s piece on every single move. Nine Men’s Morris in Hadrian’s Library, Athens, Greece. Photo taken: March 4, 2011. 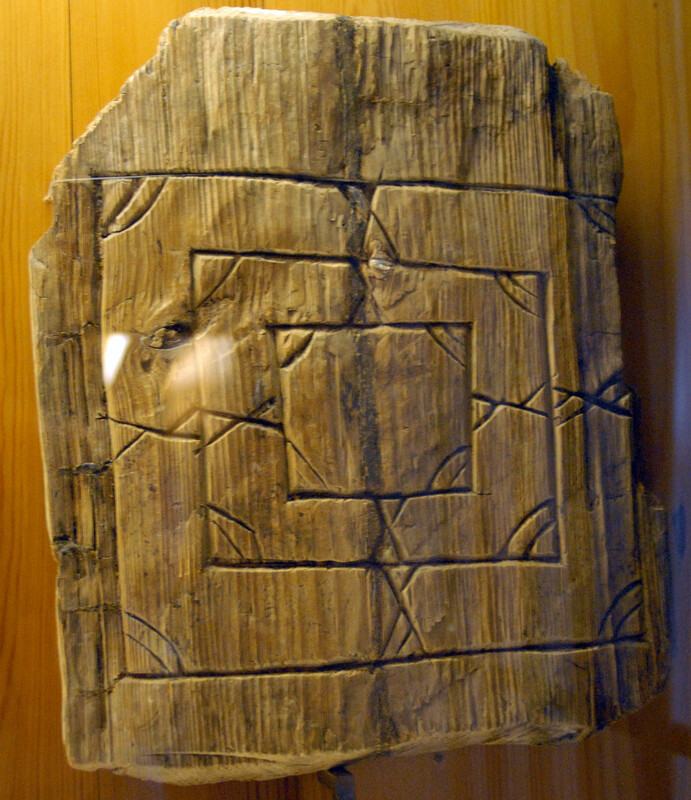 Wooden Nine Men’s Morris from medieval Velikiy Novgorod, Russia. Novgorod State United Museum. Photo: Professor Michael Fuller, St. Louis Community College, 2006. Berger, Friedrich. 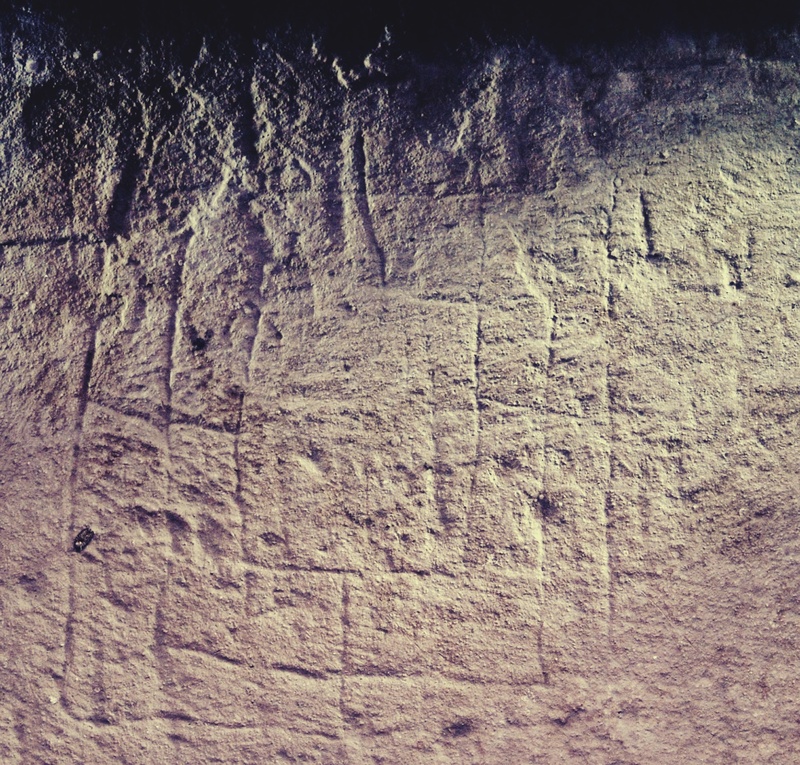 “From circle and square to the image of the world: a possible interpretation for some petroglyphs of merels boards.” Rock Art Research 21, no. 1 (2004): 11-26. Uberti, Marisa. The Merels Board Enigma. With the worldwide census. Marisa Uberti, 2012. Fascinating Nine nan morris article. However, there sre a couple of differences I might question snout Phase 3. Section C iii states purpose is to help player “down to one piece” but I believe game is over when either player gas two pieces so it shpild say “three pieces”.